Real change happens when we invest in girls. 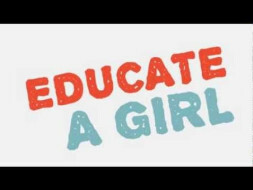 Every year, millions of girls are denied an education at a time when it has the power to transform their lives and the world around them. We are raising fund to help a girl complete her education. Want to keep the personal information of the girl discrete. She is at her final year of B.Arch and haven't been able to pay the fees due to her fathers medical condition. Kindly contribute whatever you can to help her complete the education. Your contribution means a lot. Fund raised through this campaign against the Fees due for the final year of B.Arch and her hostel fees. We are very grateful to you. Without you, it would not have been possible. We were able to collect the funds required for college fees. I am transferring the same to the girl's account to help her with her education. So far we have raised 60% of the fund required to pay the college fees. I am initiating a transfer to the Hema's account. Her parents have spoken to the college requesting to extend the grace period. Her Project viva is close by, want to ensure that the money reaches her before the viva date. Thanks to all the Supporters.Will ensure that the fund reaches her and used only for her education. Thank you all once again. Please do share this campaign further with your friends and family to help in raising funds for her education.